11th Challenger – the spider | Rodposse. 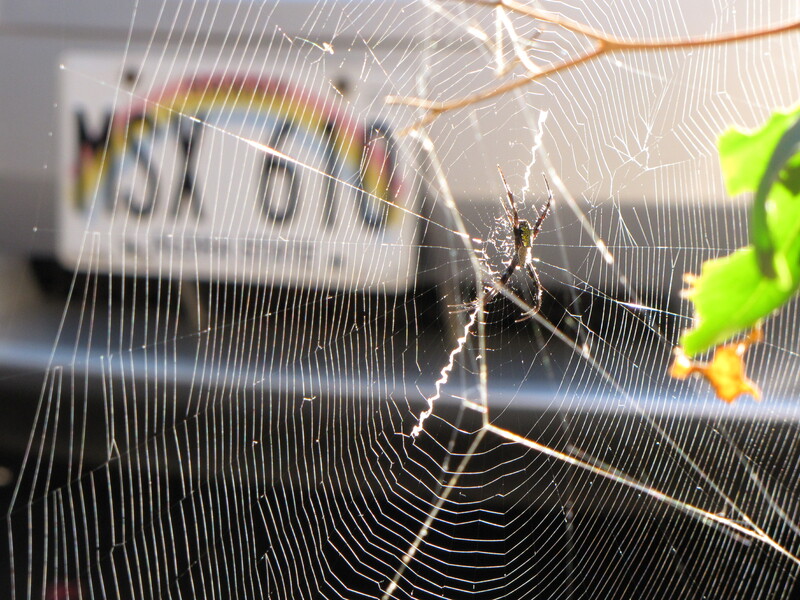 Spiders definitely aren’t on my favorite animal list… but they are still fascinating creatures! agreed. when I was a kid, I tried to get over my fear by watching one in his web. it was a mistake. a fly landed in his web and the spider did what a spider does. it really grossed me out and made my fear even worse. jk ps, still you are right they are fascinating creatures, I just don’t want them near me or to touch me in anyway possible or I scream really loudly and my partner needs to rescue me. lol !!! Totally agreed. I lived in Australia for a year -AKA the only country with every deadly creature to date. And let me tell you, the spiders there are on steroids!! They are as big as your face, no joke. Beautiful shot … Good Luck! Thanks so much 🙂 !! Chanel, you are so welcome … have always wanted to be able to catch a photo like that. Great job. Spider webs are not the most easiest object to get good shots of.